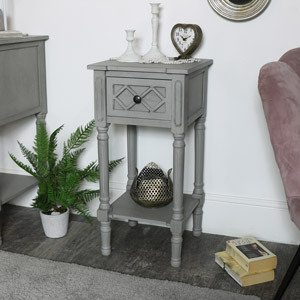 Vintage grey bedside / occasional table. Ornate latticed drawer fronts with display shelf. Ideal for a vintage French styled living room or bedroom. Single drawer with display shelf in stunning French style. 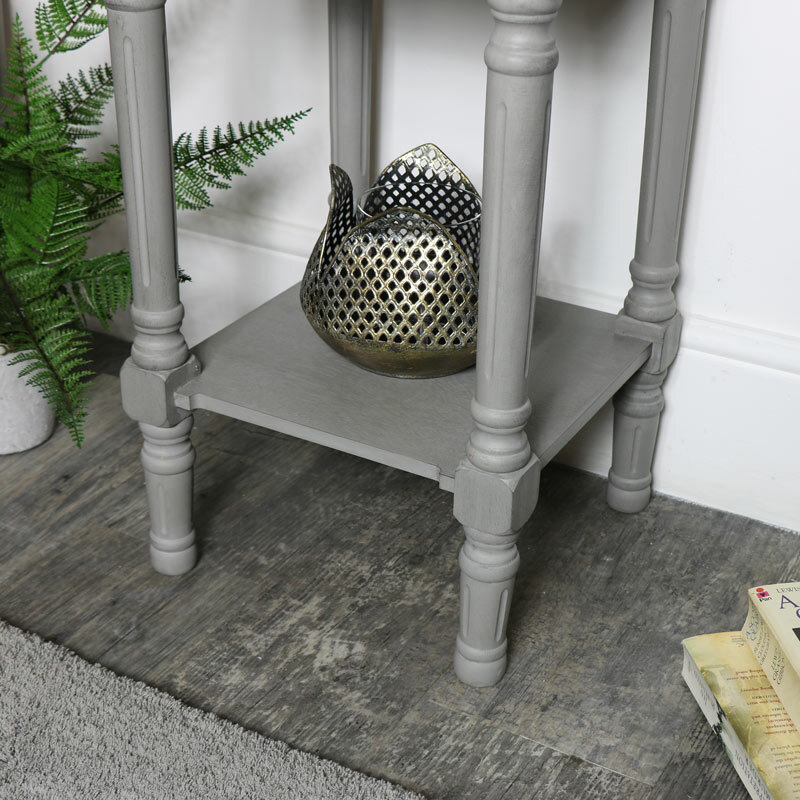 Painted in grey with distressed effect for a country themed interior. With matching furniture available in the Venice Range. 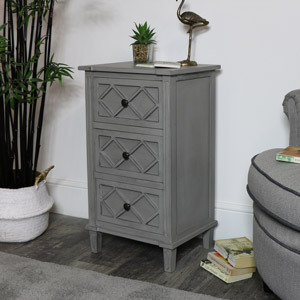 One drawer storage on this table offers a great storage solution for any other those little bits & bobs. This table will be perfect for use in the bedroom, living room or hallway. 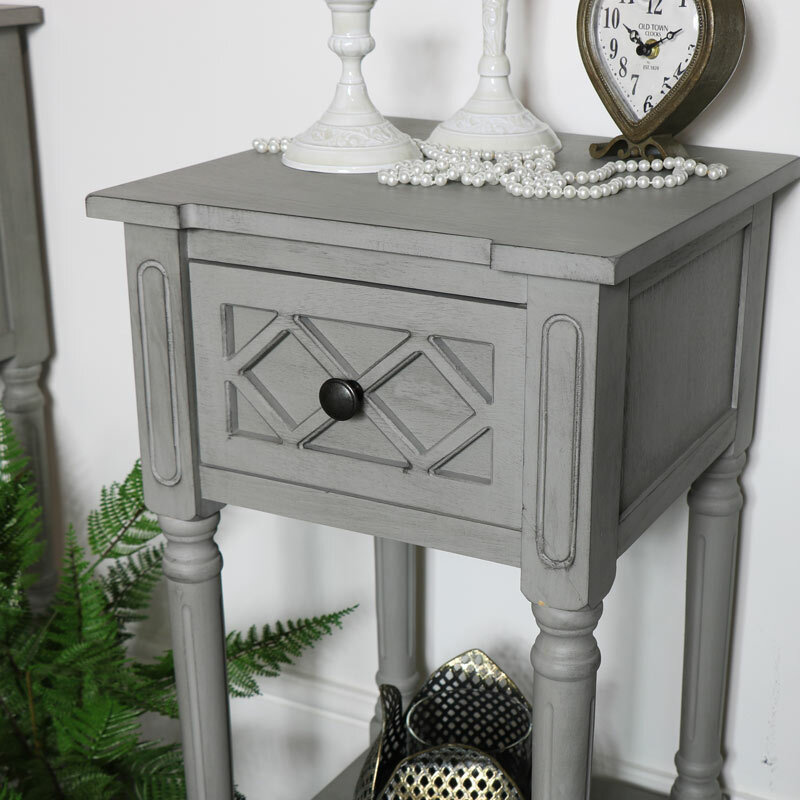 Vintage grey bedside / occasional table. Ornate latticed drawer fronts with display shelf. Ideal for a vintage French styled living room or bedroom. Single drawer with display shelf in stunning French style. 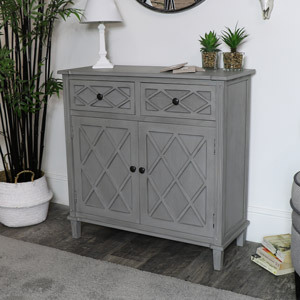 Painted in grey with distressed effect for a country themed interior. 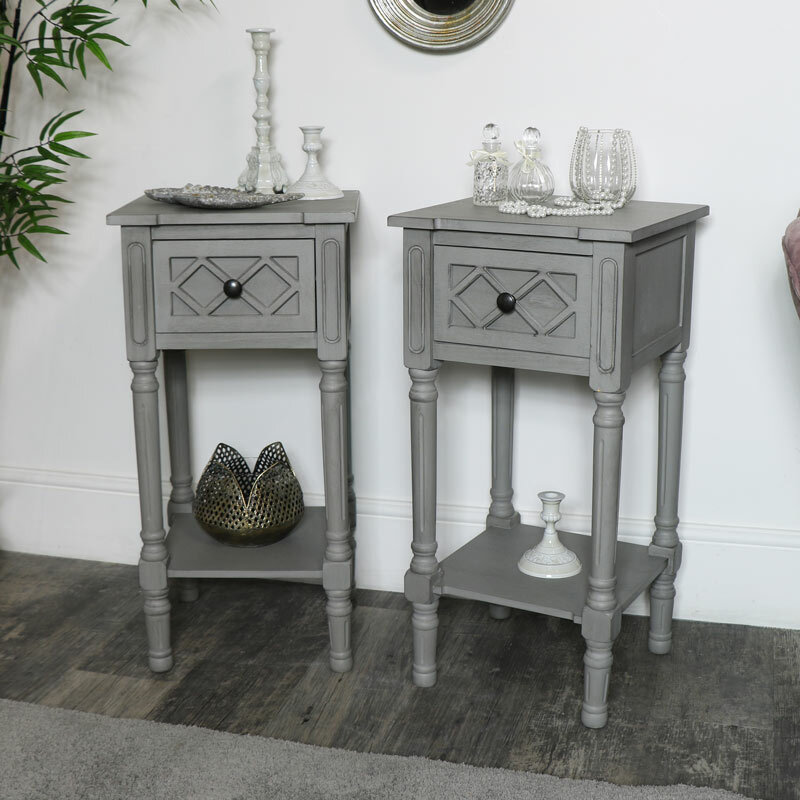 With matching furniture available in the Venice Range. 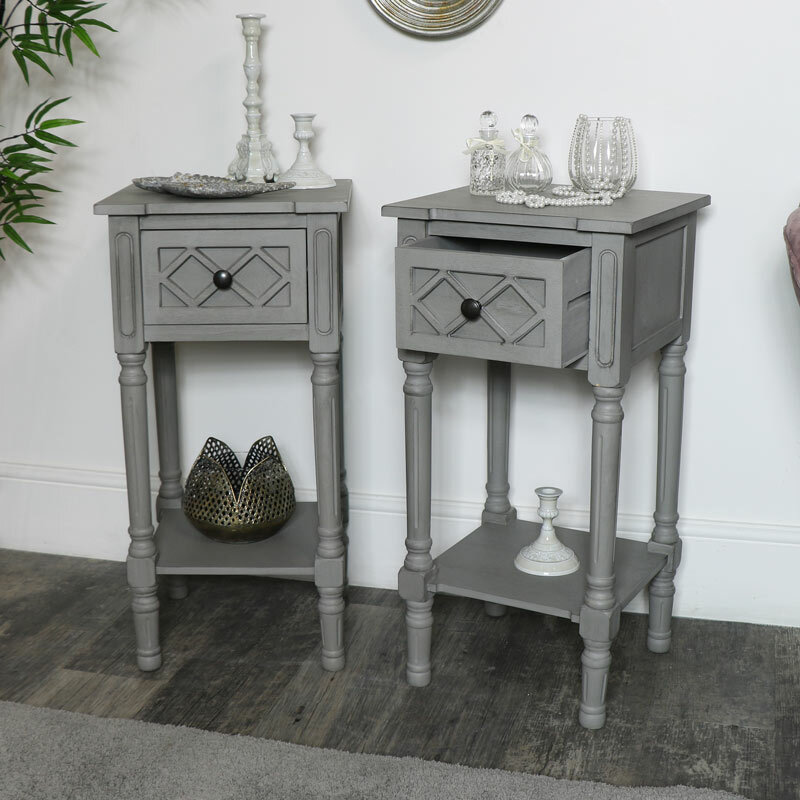 One drawer storage on this table offers a great storage solution for any other those little bits & bobs. 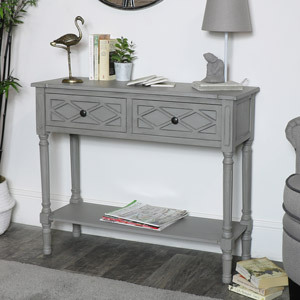 This table will be perfect for use in the bedroom, living room or hallway. 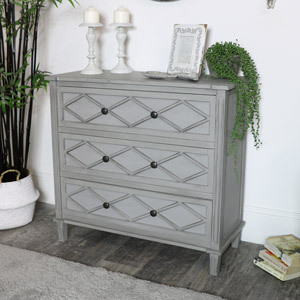 Constructed from wood and finished in a rustic, distressed grey finish. The bedside table comes partially assembled with the legs & shelf to attach (fixings are included). 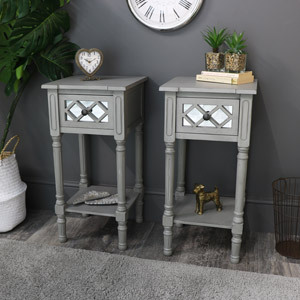 We have an impressive selection of matching furniture along with standalone pieces that will help you to create just the look you want for your home.